Westcon-Comstor has been selected as the sole Australian distributor of Intel Security’s Managed Services Provider (MSP) portfolio. The distribution deal builds on a 10-year relationship between the two companies, with Westcon-Comstor winning a competitive pitch for the title. Even though the partnership is an extension of a 10-year collaboration, this specific distribution deal is exclusive to just Westcon-Comstor. 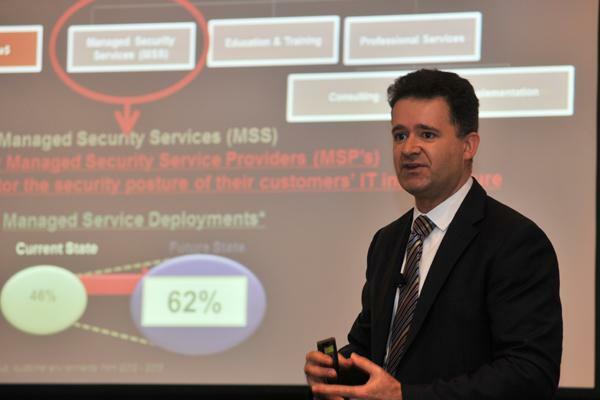 “With the managed security services market in Australia growing at about triple the rate of the security industry, it was critical for us to align with a single distributor to support this growth across the channel,” Intel Security Asia-Pacific service provider, MSP and Cloud director, Joel Camissar, said. He mentioned Westcon-Comstor was ahead of the pack because of its BlueSky platform that provides MSP partners a portal to transact easily, giving them a view of all of their license consumption and view into what additional sales opportunities are available to their base. In addition, the company is closely aligned to the larger managed service partners that fit the profile of partners Intel Security wants to approach and its Authorised Training Centre educates partners on how to be successful on Intel Security’s solutions. “Westcon-Comstor also has an understanding of, and strong alignment to, the enterprise and commercial Intel Security partner segments, and ability to provide training to MSP partners as Intel Security’s first Authorised Training Centre in Australia,” Camissar said. According to Camissar, the industry is experiencing a significant shift to customers relying on managed security services, which is the reason behind why the company decided to forge a relationship with Westcon-Comstor in this space. “There is a market shift to customers that want to consume solutions as a service. Our strategy is to enable key partners to leverage our solutions so they can create platforms to offer security-as-a-service to their customer. “This is augmented by the increasing sophistication of the threat landscape, shortage of skilled IT resources, and complexity of managing multiple vendors in a typical customer environment. As enterprises are looking beyond preventive security services toward advanced detection and remediation capabilities, we are helping our MSP partners to provide services to meet this market need,” he added. Camissar added that having the right distribution support is one of the fundamental elements that helps Intel Security grow its business. Westcon-Comstor A/NZ director of Cloud and service solutions, Rhys Shannon, said for Westcon-Comstor partners, moving to MSP is a strategic investment in their security practice, and Intel Security has created an offering that offers cost-effective protection with added support and training. “It will be beneficial for the existing managed service providers, as well as existing security partners looking to move into this arena. That is a cross section of enterprise partners as well as specialised systems integrators in the market. “This is the spine of the modern security offering in terms of what Intel Security is providing. It is absolutely complimentary to our current line-up and it’s a fantastic addition to have for our current partners who might not work with Intel Security and those that do already work with the company,” he said. Shannon also said Intel Security is one of the only few companies that enables MSPs to consume hardware and software in a monthly OPEX model. “Intel Security has listened to the market with regards to the consumption model and the shift in terms of how customers are looking to be charged moving forward. That’s reducing the barriers of entry for our partners,” he added.